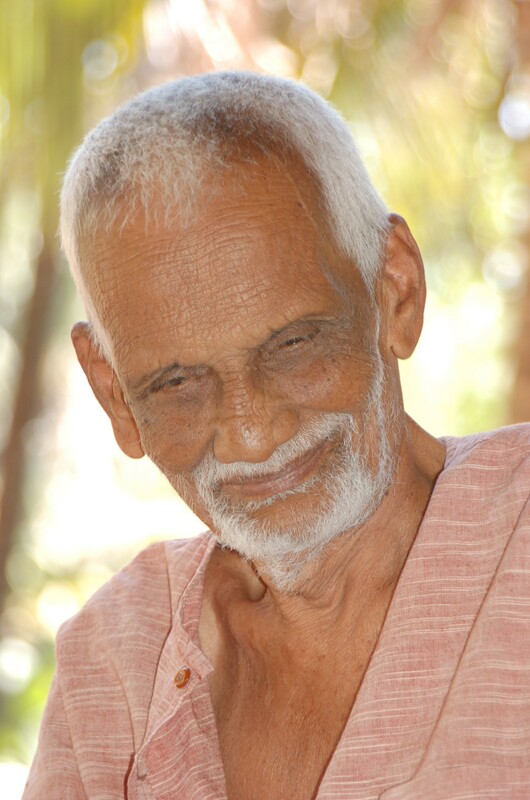 It was at Ajja’s ashram in Puttur, Karnataka, that Vimala Thakar’s name first came up. We were told that a woman who lived in Mt. 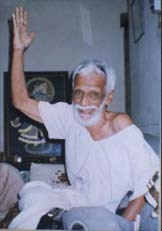 Abu had become enlightened through J. Krishnamurti and that she was available for visitors. On our way north through India we went through Rajasthan. We arrived in Mt. Abu and chose a guesthouse from Lonely Planet. After settling in we informed the manager that we were interested in visiting Vimala Thakar and asked if he knew of her. We had chosen well, the guesthouse was located less than 100 meters from her house and the manager himself was a friend of hers. He called and made arrangements for an appointment for us the following day. We arrived and were shown into a small sitting room where we met Vimalaji. A tremendous force of presence surrounded her. We introduced ourselves and told her that we were Osho sannyasins. She spoke to each of us about the names Osho had given us. Vimalaji asked us about our travels in India and in general about the life we were living allowing life itself to lead the way. Over tea Vimalaji told us that Osho had invited her to Jabalpur to speak at the university where he was chair of the Philosophy Department. Osho took her out on the Narmada river in a boat and then to the Kwality Ice Cream shop in town. She said she chided him about his tastes in food because they were not good for his health and that she felt like an older sister but that Rajneeshji was Rajneeshji, meaning that he wasn’t one for listening to advice. Vimalji also said that she was sad for what had happened to him in Oregon. I told her that I didn’t know much about her but had heard the story concerning Krishnamurti and her experience and wanted to ask her about it. She proceeded to relate the story that you will find in her book On an Eternal Journey. She stated that if one wants to say that the transformation that happened to her was through the grace of Krishnaji, she was fine with that. I will let her tell you the story so in that way you will not need to rely on my memory. This story is also related in an interview Vimalji gave to Chris Parish for the magazine What Is Enlightenment. There is a link below. In meditation, there is no movement. Life has no movement: it is only matter that has movement. Movement and energy are the property of matter. Life is is-ness without any movement whatsoever. That which remains without movement can be called neither individual nor universal. It has no center and no circumference. Intellectual activity has a center, the me, the self, the ego. Awareness as the activity of the intelligence has the whole human body, the human individual, as the center. Beyond awareness, the individual is not at the center. Nothing moves out of the individual. Nothing emanates or radiates from the person. Just as in the state of observation there is no ego-centered activity, so in the state of awareness, the whole cerebral organ does not function. Beyond awareness, the individual entity and the movements contained in the individual entity are simply not there. I wish that I could verbalize this more fully. – The Movement of Mind. This has proved to be extremely helpful. Thank you, Vimalaji. Two of her books are easily available in the west through Rodmell Press. The book I mentioned above, On an Eternal Journey, I have not been able to find copies for sale, but you can download it from the link above. Here is the link for the Chris Parish interview Set Them on Fire.